The Department of Biomedical Engineering at the University of Rochester brings together the technical expertise of our Hajim School of Engineering and Applied Sciences with the clinical experience of our University of Rochester Medical Center. In doing so, we have established a cooperative environment that fosters innovations in medicine and health care. Our mission is to discover, create, and educate in order to engineer ever better solutions in biomedical research and health care. We offer a BS degree program accredited by the Engineering Accreditation Commission of ABET, http://www.abet.org, as well as MS, PhD and MD/PhD programs at the graduate level. Our biomedical engineering research doesn't stay in the laboratory. 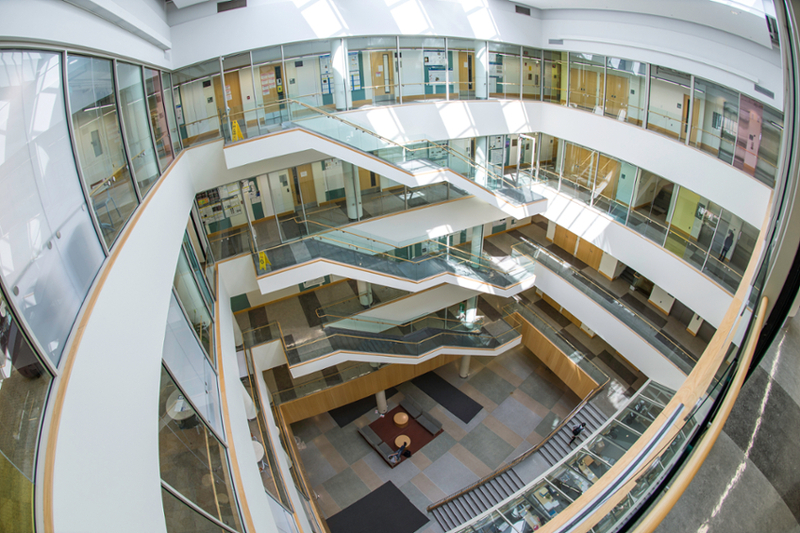 Between the Center for Medical Technology & Innovation, Clinical and Translational Science Institute, and the Ain Center for Entrepreneurship, students have numerous opportunities to watch their medical discoveries move from the laboratory bench to the patient’s bedside. To immerse our undergraduates in this process of innovation, our year-long senior design program provides an introduction to the medical device design process. They develop prototypes to solve problems presented by local companies, clinicians or researchers. They also learn about the regulatory process, economic constraints and ethical challenges that come with creating new medical technologies.